While Australian wines are going from strength to strength i terms of quality and regional diversity, we have noticed that a great may people have given up on finding that new or exciting bottle from among the ranks of our Aussie selections. They all seem to believe its all about over oaked Chardonnay or big fruit bombs of Shiraz. Well hopefully this post will change your mind we’ve selected 3 of our favourite Aussie wines that move from the classic ingrained idea of what Aussie wine is. Delightful aromas of sarsaparilla, tobacco, red berries and cherries. the palate is robust but not heavy with a gentle kiss of vanilla and red cherry fruit on the finish. An interesting take on the Spanish classic variety Tempranillo. This red pours a beautifully brick red with deeper hues of crimson towards the centre. Soft, silky flavours of red berries and cinnamon spice over perfumed aromas of cherry, chinotto and dried herbs. Beats many a burgundy in terms of quality and drinkablity even at twice it’s price. Produced using organically grown fruit from the picturesque Polish Hll River sub district of the Clare Valley. This is a delightfully seamless white wine with good backbone and aromas of honey blossom, lime and a mineral delicacy. the palate is very fine and long and drinks like a tight Sancerre. Who hasn’t had a bottle of Australian wine? Any decent wine section I a super market or spar has Aussie wines in Stock! But thankfully we’ve noticed a movement away from the dull boring mainstream brands that have been mass producing boring yet drinkable wines (not just in Australia mind you!!). Armed with our new grown up palates we have been searching for different not necessarily exotic wines. This has led to a regionalisation movement in Australia; this is nothing new in wine and certainly not new in Australia. However before this the focus was on brand Australia now it’s on regions like Barossa, Clare and Margaret River. If you though Australia was all Shiraz and Chardonnay then your better think again there are about 75 grapes varieties grown there and roughly split 50% 50%. Over the next month I will introduce the some of our favourite regions and wines from Oz. First up the state of New South Wales, where many Irish land. Hunter Valley (near Sydney) is NSW’s most famous wine region, the first commercial chardonnay was produced here in the 70s, but now it plays second fiddle to the outstanding Hunter Semillon. Just to the south from Hunter up in the Central ranges is Mudgee (meaning Nest in the Hills in Aboriginal) which produces great Shiraz and Bordeaux reds. Other regions include Cowra, Hilltops, and bubbly-savvy Tumbarumba, but it is High Altitude Orange that is on everybody’s lips. Orange was once a well-kept secret in the wine industry, with only a handful of people aware of the regions potential. 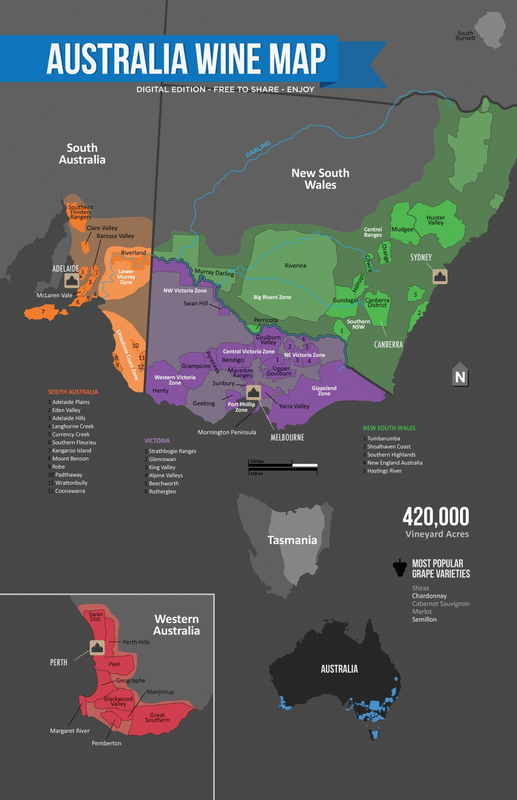 Even though there are still only a dozen or so wineries, it is NSW and arguably Australia’s most exciting region. Sloping hillsides at high altitude, 800m above sea level, and a cool continental climate make this a great spot to ripen perfect Sauvignon Blanc, Riesling and even Pinot Noir. 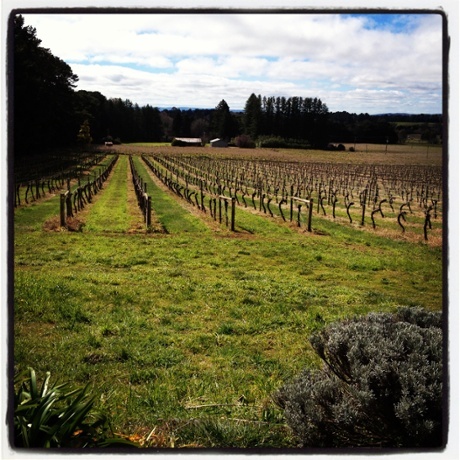 Find out more about Orange here and Logan our favourite winery there here. And check out some of Peter’s wines on offer this month here.